A running gag about golfers is that friends and family will never exhaust the supply of stuff to buy them. We’re not talking about a good pair of shoes for a distance runner here. 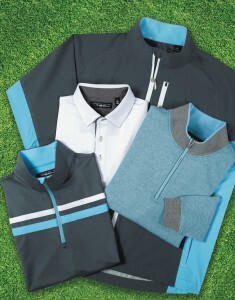 Golfers “need” apparel designed specifically for the game, ever-evolving equipment, CDs, online instruction, and all manner of paraphernalia. In this universe, most lists of suggestions, including the following, will seem ad hoc. But along with variety, the options cover price points on the entire spectrum. Of course, in a pinch there are always some perennials like golf balls that never go out of style. But that’s hardly as festive. BioMech AccuLock ACE putter. It may seem weird to give a gift that can’t be used for several months, but, because this putter really is unlike any you’ve ever tried, honing your technique indoors, on the carpet, might be a good idea. The open stance and grip will initially feel odd, but the geometry is designed to promote putting with the body’s core rather than the hands, wrists, and arms. Improved ergonomics make it easier to practice longer, and there’s a shaft-fitted sensor and accompanying app for instantaneous smartphone feedback on your stroke. 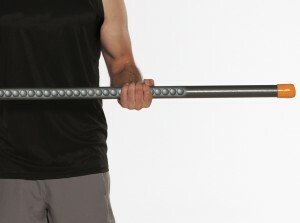 ActivMotion Bar. Basically a tube filled with ball bearings that shift rhythmically as the user manipulates the bar — “Let it move you” is the tag line — thereby gently intensifying stretches. In six weights from 4.5 to 18 lbs., it’s easy to see how using the ActivMotion Bar would enhance golf flexibility and the instructions come with exercise routines geared to it and other activities. But it’s also an efficient medium for shaking out the kinks after a spell in front of the computer screen. ActivMotion Bars can currently be purchased over the holidays at discounts up to 40 percent through the company’s Indiegogo crowdfunding campaign. Carnoustie Sportswear. Introduced in 2014, the name might suggest a very traditional approach to golf apparel, but this is only partially true. The solids and geometric patterns of the Spring 2017 collection can seem conservative, but a color palette that includes “amethyst, melon, spearmint and sky” isn’t. Microfibers continue to improve and Carnoustie seems to have solved the elasticity-versus-freedom-of-movement equation. There’s also waterproof outerwear and, new for this year, five-pocket jeans. Knuth High Heat Driver. One common gripe in the golf equipment industry is that the most significant technological advances benefit primarily accomplished golfers, who continue to hit the ball farther and farther, while the rest of us hack. 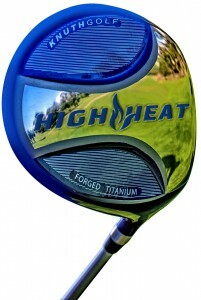 Inveterate golf enthusiast Dean Knuth designed the High Heat driver — and this year, a 3-wood and 3-hybrid — with the average player in mind and a particularly big sweet spot. Tathata Golf. As someone old enough to remember when fitness and golf were considered antithetical, the 60-day instructional program from Tathata Golf shows how far we’ve come. Headquartered in Scottsdale, the method has gained something of a cult following. And it’s an off-season gift that keeps on giving, as you can take as long as you like to work your way through the installments, which focus on key movements and mental training. 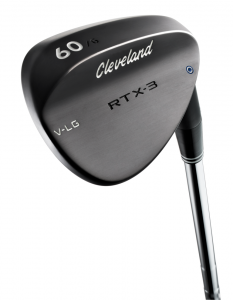 Cleveland Golf Wedges. More than any other club, wedges are the source of obsessive-compulsive equipment-geek scrutiny, and Cleveland Golf has long been a chief enabler. Notwithstanding important considerations like bounce, mill, grind, and so forth, what I like best is their sleek, sculptural appeal. They have a substantial following on the professional tours, so it’s apparently also true that, in the right hands, they’re effective. Biion Footwear. A Toronto-based company in vogue thanks to a celebrity following, the design vocabulary of the line includes ringlets for laces that don’t need to be laced and colors seldom seen at “proper” clubs. They’re also completely synthetic, which will please animal rights advocates, and can be cleaned, literally, with a good hosing down. “One shoe, many talents,” as the marketing slogan goes. Rukket Sports. 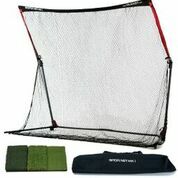 Asked what single tip he’d give golf students for game improvement on a limited schedule, one teaching pro answered, “Try to swing the golf club 50 times a day.” Rukket is a company dedicated to facilitating that goal, with a series of affordable practice nets, mats, and other training aids, most of them portable.